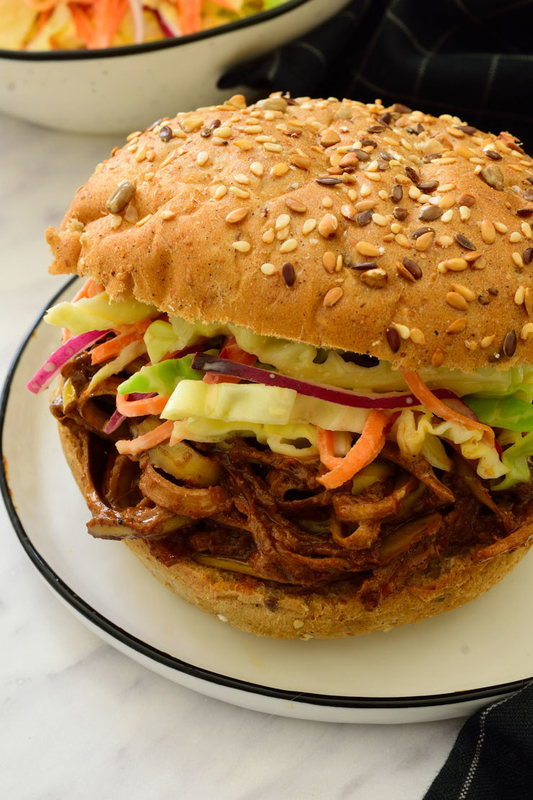 In March, vegan food blogger The Stingy Vegan uploaded a recipe and a video on Facebook for a Banana Peel Vegan Pulled Pork Sandwich. It seemed innocuous enough — just another tasty-looking vegan recipe — but the internet swiftly reacted. We’ll get to Twitter’s thoughts in a minute. First of all, how does it work? 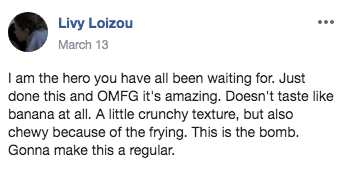 We reached out to Melissa from The Stingy Vegan and discovered that the process only takes a couple of steps. 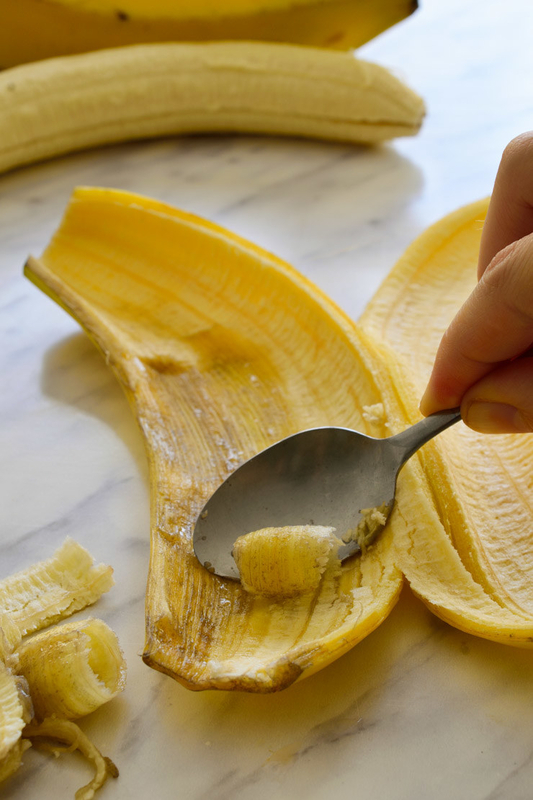 First, take the banana out of the peel and scrape the sides of the peel to get all of the soft stuff off. From there, you’ll toss the peels in a blend of spices or sauce of your choice. 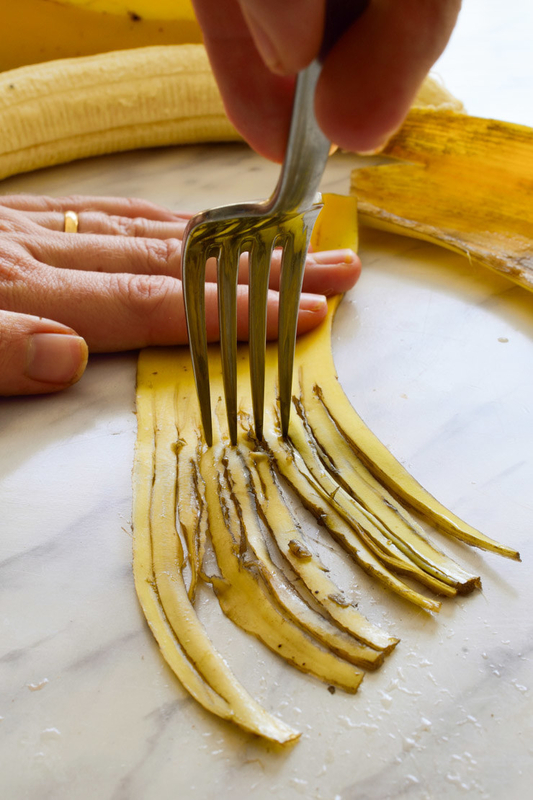 Next, use a fork (or knife) to turn the peels into shreds. Now before you start asking why this recipe would use fruit in the first place, please note that jackfruit is a hugely popular meat replacement for BBQ and “pulled pork” style sandwiches. 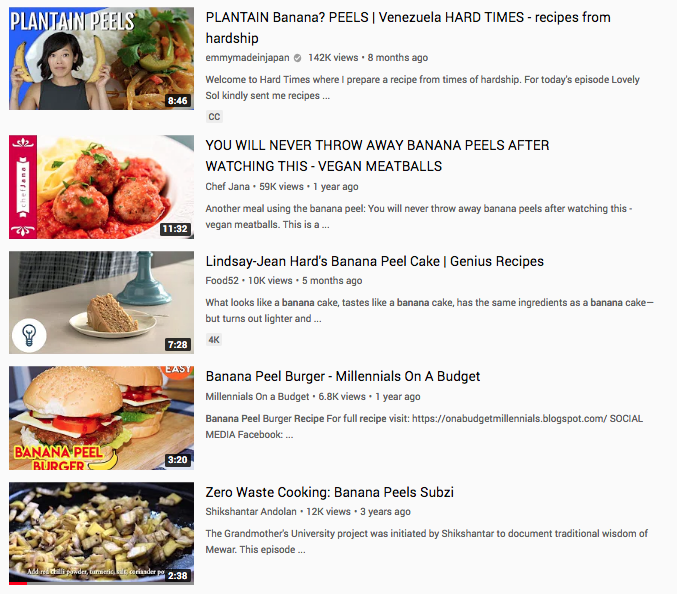 And it turns out, lots of people around the world have been using banana peels to cook for years, for many reasons including eating on a budget and living a low or no waste lifestyle. I first heard some talk about it in a vegan Facebook group. 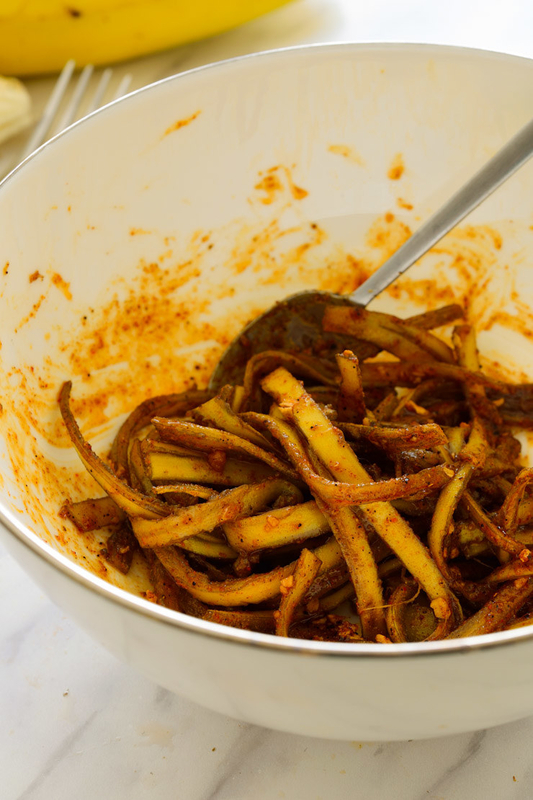 A few people had tried a banana peel pulled pork recipe by a YouTube user called Chef Jana. There was also some mention of the fact it’s not a new idea. 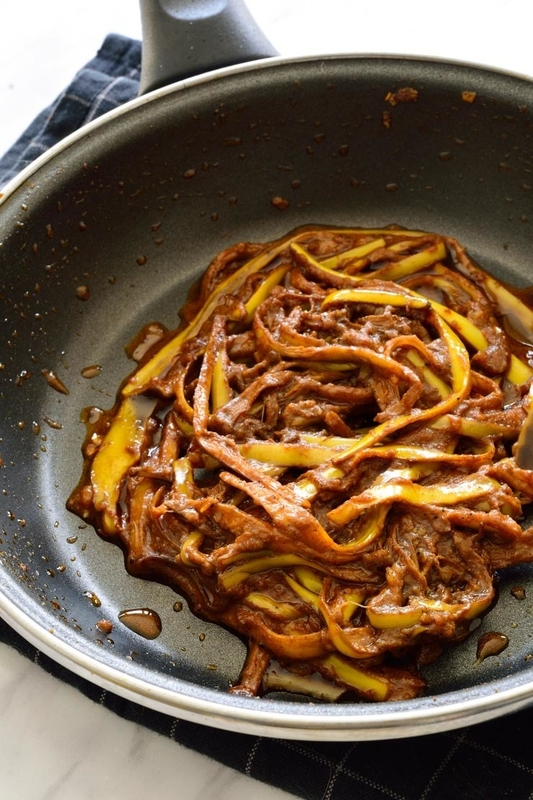 It turns out that vegetarians in Venezuela have been using plantain peels to make a similar pulled meat dish called carne mechada for years (and they’ve been keeping it a secret from us this whole time!) So I decided to try it out. And some people have actually made the recipe and reported back that it tastes good! blog I try to offer economical vegan recipes with cheap supermarket staples and there’s nothing cheaper than making a meal out of something you’d normally throw away. Understandably, people are flipping out. A lot of people can’t get over the ick factor and I get it, I was skeptical too. Vegans, what will they think of next? 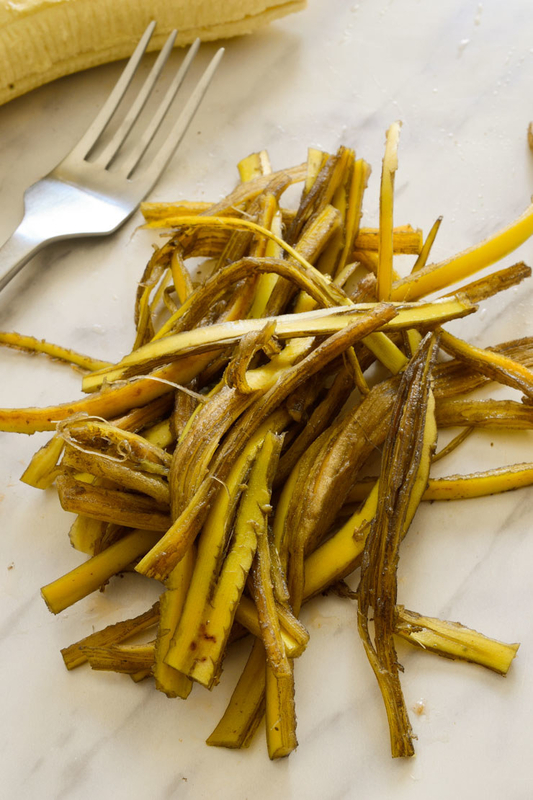 Would you ever eat banana peels? Let us know in the comments! Can You Successfully Match These Billie Eilish Lyrics To The Correct Song?